Kirill Troussov - Scaffardi Artists Management AGENZIA DI MANAGEMENT ARTISTI, ORGANIZZAZIONE E GESTIONE EVENTI. Highlights of his past concert seasons include - substitution for Gidon Kremer in Paris, Asia Tour with the Verbier Festival Chamber Orchestra, his spectacular performance at the BBC Proms and his activity as jury member at international competitions. 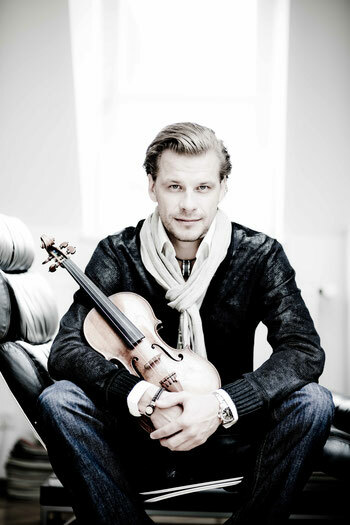 He has been awarded the European cultural award “Pro-Europa”, the Yamaha Prize, the Davidoff-Prize of the Schleswig-Holstein Musik Festival and numerous prizes at international competitions. His CDs “Memories” (MDG) and “Emotions” (MDG) have been highly praised by the international press and the public – among others by “Süddeutsche Zeitung” and the french trade magazine „Diapason“.